1) Have you ever been to Cuba ? 2) When was the last time you visited Cuba ? 3) Do you have any relatives living in Cuba now? 4) Were your family or relatives related to, or employed by, either Fidel Castro or Fulgencio Batista? 5) Do you accept campaign contributions from people or organizations who support the embargo such as the United States Cuba Democracy PAC? This is not illegal. But if you do, why do you accept contributions from these groups if you have not traveled to Cuba for yourself to assess the policy as an elected official? What do you really know about Cuba other than what you have been told or read in the media? 6) Why would you support restricting Americans their right to freely travel to Cuba, when you yourself have not visited the country yourself to evaluate the policy and the experience? 7) Do our U.S. travel restrictions hurt or help the Cuban people? 8) How does restricting and limiting Americans right to travel support democratic change in Cuba? 9) Are you aware of the economic impact from trade and travel with Cuba, actual and potential, in your district and state in terms of dollars and jobs? 10) Are you aware that more than $200 million dollars have been paid in fees to foreign bankers instead of U.S. farmers and agribusiness because we do not authorize direct payments from Cuba to the U.S.? 11) How does the political and economic isolation and humiliation of Cuba through the embargo serve our national American interests and our relations with the rest of Latin America? 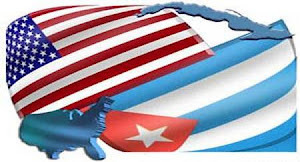 12) Are you aware that there are at least five million Cubans living on their island who have relatives here in the United States --that through normal travel and basic trade the Cuban people will benefit and be inspired to change things on their own in Cuba ? 13) Why do we hold Cuba to a different standard on human rights as opposed to say China and Saudi Arabia? 14) The Cuban government has stated publicly that it will arrest and jail any Cuban who receives money from the U.S. government for the purpose to subvert and overthrow their government. Isn't U.S. government funding of dissidents in Cuba then tantamount to subjecting them to being arrested and jailed? The Cuban government has also stated it will arrest and jail any foreigner who enters Cuba with the same intentions. Don't we arrest individuals who receive money from a foreign government with the intent to subvert and overthrow the U.S. government? 15) We say we want political prisoners freed in Cuba - why won't we negotiate with the Cuban government for their freedom then?